Talia concedes the free kick which allows Petrie to kick his first goal of the match. Petrie has been quiet with only six disposals and three marks tonight. He has however toiled hard, laying five tackles for the match. The Crows now with the last 15 of 16 scores of the match with the Matt Crouch goal. Crouch has had a match high 31 disposals including 15 contested possessions and eight clearances. A turnover at half forward for the Kangaroos sees the Crows move the ball all the way into their attacking 50 where Cameron sets Atkins off into an open goal. 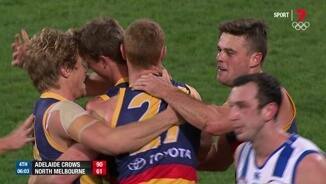 Both the Crows; goals this quarter have originated from North turnovers. And with another team and personal high, Talia has now had 13 spoils for the match, to go with his eight disposals. Sloane working extra hard this quarter for the Crows with three tackles, the only player with more than one. 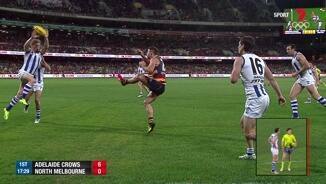 His total tackle count for the match is 13, a season high for both him and the Crows. Thompson with two clearances early in the last quarter taking his tally to an equal season high, for him and his team, of nine. The Crows lead the clearance count for this quarter 42. After Walker had a goal overturned on review, the Crows get a repeat inside 50 and Jenkins get his first goal of the match from only eight disposals. A tight last quarter in store as an increasingly inaccurate Crows take a one kick lead into the last break. The Crows' disposal efficiency inside forward 50 is only running at 51 percent, while the Kangaroos are going at 65 per cent. The Crows pressing hard and have now regained the lead through the Betts goal having gone inside 50 six times in a row over seven minutes to the Kangaroos zero. From these six inside 50s the return has only been 1.3 (9). A Dal Santo clearance at half forward, his third for the match, finds Thomas inside 50 on the bounce who snaps truly for his third goal of the match. Thomas with seven disposals for the match so far, all effective. McGovern with his seventh mark of the match this quarter equals his season high with a quarter and a half to go. McGovern has taken one mark inside 50 and one intercept mark. The Crows mirroring their dominance of early in the first quarter, leading the disposal count 3721, uncontested possessions 23-8, marks 9-4, and inside 50s 5-2. 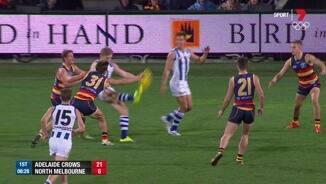 High contact from Hartigan in the marking contests gives away a free kick to Brown who kicks his goal of the match. Brown now with a team high five score involvements. With the Kangaroos yet to go inside 50 this quarter, the Crows kick their first of the second half through Matt Crouch. A handy knock on from Douglas gave possession to Crouch. Douglas now with an equal match high seven score involvements. A much improved Kangaroos kicked five goals to one that quarter to take a four point lead into the main break. Despite an unfavorable start to the quarter, Ziebell led all players with eight disposals, including five contested possessions. A costly miss to Jacobs at one end, as the Kangaroos move the football uninterrupted from the kick in to inside attacking 50 for the second time this quarter, but for their first goal from this source. North Melbourne have dominated this quarter so far, leading the disposal count 6242, and inside 50s 9-4 - including the last four in a row. A Sloan turnover at half back sees the a chain of possessions for the Kangaroos that ends with Wood kicking a goal from another mark inside 50. That was the Kangaroos' first goal from a turnover this quarter. A strong contested mark to Walker sees him go back and kick his first goal on the evening. Walker has two marks and two tackles to go with his three disposals for the match so far. McKenzie spots Gibson on the lead, who then goes back and kicks the first goal of the second quarter. The Kangaroos with three marks inside 50 already this quarter. Crows InterchangeCharlie Cameron off due to an injury. Ziebell with two early disposals this quarter, both going out of bounds on the full. An inaccurate Adelaide takes an 18 point lead into the first break despite leading the inside 50s 1812 and scoring shots 11-3. 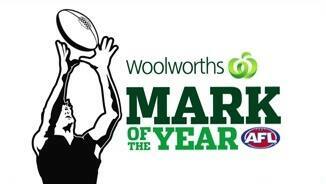 The Kangaroos led the disposal count that quarter 101-97 and contested possessions 54-46. Wet conditions underfoot making it a night for the tacklers, with Adelaide winning the count so far 2219. Cameron with a team high five for the Crows, Wagner with a team high of five also - to go with his one disposal for the quarter. Matt Crouch leading all players in the disposal count with nine so far this quarter. Crouch has had three contested possessions, two clearances, and two score assists. Ziebell wins the clearance in the forward pocket for North Melbourne and kicks the Kangaroos' first goal of the match. The Ziebell clearance broke a run of three consecutive clearances for the Crows, who lead the total clearance count 97. A Hartigan intercept mark across half back launches a chain of possessions that ends with a contested mark inside 50 for McGovern, who goes back and kicks Adelaide's third goal. The Crows lead the intercept mark count 41. 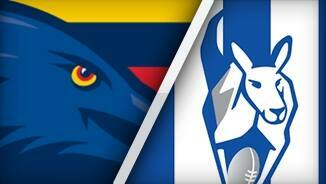 The Crows are dominating the early stages of this match with the Kangaroos yet to score. The Crows lead the inside 50 count 93, including the last six in a row. This time Lynch in the provider as he handballs to Douglas who snaps truly for the Crows' second in a row to start the match. Douglas with three early possessionsall effective. Adelaide transition the football uninterrupted from defensive 50 to attacking 50 for the first time this evening as Walker registers a goal assist putting Lynch into an open goal for the Crows. 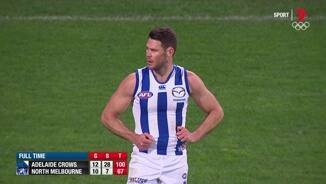 An arm wrestle to start the match with Adelaide with two inside 50s to North Melbourne's one. North Melbourne lead the disposal count 209, while Goldstein is dominating the ruck early with all five hit outs of the match. North Melbourne has won four of its five interstate games this season, with its only defeat coming against Sydney Swans in Round 10. Tonight's match has big ramifications for the top eight as the eighth placed Crows host the third placed Kangaroos on a wet Thursday evening in Adelaide. 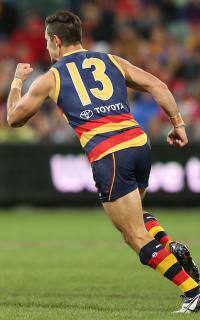 Adelaide has won five of its six games at Adelaide Oval this season, winning the contested possessions in each of its wins, while losing the count in its only loss against Geelong (eight). Welcome to Adelaide Oval for the Adelaide Crows v North Melbourne Round 14 clash. ADELAIDE has overcome its most inaccurate performance in almost 23 years but still managed to notch its fifth-straight win, handing North Melbourne a 33-point defeat at Adelaide Oval, 12.28 (100) to 10.7 (67). The Crows’ return of 28 behinds ‘bettered’ its round-20 score in 1993 of 13.27 (105) against Melbourne. The loss was the Kangaroo’s fourth-straight to a top eight side this year, with the Western Bulldogs remaining the only top eight team they’ve beaten. The Crows were their own worst enemy for the most part on Thursday night, with poor execution entering attack combining with inaccuracy in front of goal to keep the Kangaroos in the contest far longer than they should have been allowed. But Daniel Talia was brilliant in defence, Jake Lever and Rory Laird rebounded well, while Matt Crouch and Rory Sloane were superb through the midfield. Crows coach Don Pyke was impressed with his team’s effort to push through its ordinary goalkicking. "We'll address that during the week and try to improve in that area, but [I’m] pleased with the effort and workrate our guys showed to get over the line," Pyke said. "Our contested stuff was really strong." The Kangaroos, who were missing a host of key players, were well served by Ben Cunnington, Jack Ziebell and Brad McKenzie. 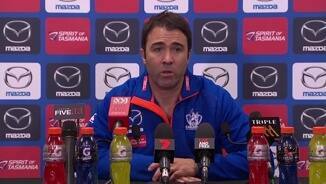 Coach Brad Scott criticised his side’s first quarter. "We were really disappointed with the start, I thought we didn’t play the conditions well at all," Scott said. 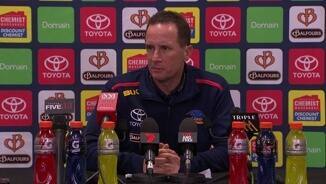 "The Crows lifted in the midfield [after half-time], I thought led by Rory Sloane and Scott Thompson. 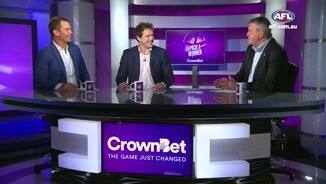 They really turned the contested ball numbers around which were in our favour pretty strongly at half-time." Scoring before a much-hyped storm (that never arrived) loomed crucial, and Adelaide had ample opportunity to heap on scoreboard pressure, but a tricky breeze and already damp conditions proved challenging. The Crows could manage just three goals from their 11 opening-term scoring shots. North Melbourne found the going easier at the scoreboard end early in the second quarter - with Sam Gibson and Ben Brown booting goals early in the term. Mason Wood kicked another before Lindsay Thomas swooped on a terrible, deep defensive Crows’ turnover to tie the scores. The Kangaroos dominated possession in the second quarter with 15 inside 50s to eight and, coupled with Adelaide’s continued struggles in attack, hit the lead late through veteran Brent Harvey. Thomas ended Adelaide’s three-goal run that started the second half with an extraordinary show of skill - summing up his options before nailing a checkside from the tightest of angles. As if he was to be outdone, Eddie Betts dribbled home a cheeky left foot shot from the boundary at the other end to again force a lead change. With the match on the line in the final quarter Adelaide looked the side with greater run, as might have been expected given its week off compared to North Melbourne’s six-day break. After Kangaroo Todd Goldstein missed a crucial snap from close range, the Crows sealed the deal with majors to Atkins, Richard Douglas and then Matt Crouch. Adelaide: The club’s stunning run with injury continued on Thursday night and with nobody expected back next week, the Crows could face Melbourne unchanged. North Melbourne: Farren Ray was forced off with concussion in the first term after being hit in the face with the football. Given the Kangaroos have a bye next week, he’d surely be fit to take on West Coast in round 16. The Crows will take on Melbourne at the MCG next Sunday in a very winnable encounter that could help the club up into the top four depending on round 14 results. The Kangaroos will enjoy a much-needed bye.